Happy New Year! We hope 2013 is a fulfilling, successful year for all of our blog readers and their organizations. Rather than making our own predictions for 2013, we decided to offer a round-up of trends and predictions from a number of non-profit, association, marketing and event experts. 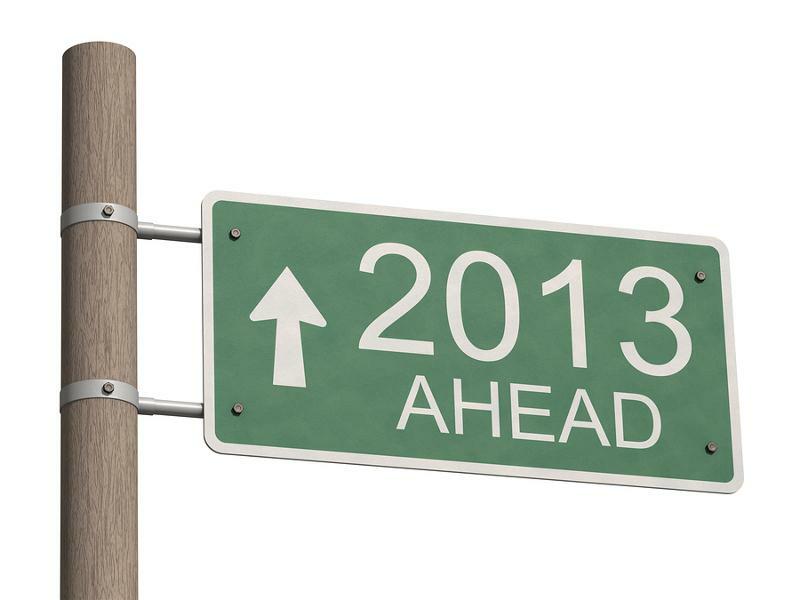 Here are highlights of three posts that offer non-profit predictions and trends for 2013. Prediction #4: The More Relevant Your Content, The Greater Probability You’ll Be Found Online: Till now, effective search engine optimization (SEO) was all about knowing the tricks of the trade. Instead, focus less about having the right H1 tag or the right keywords on the page and more about creating high-quality, original content that is hungrily consumed and shared. ...“The old model of marketing built on [your organization's] timeline doesn’t work so well, but after decades of ‘campaigns’ planned way in advance, it’s difficult for marketers to change to a mindset based on speed. Clearly, the opportunities to grow your business in 2013 and beyond mean real time is key. If you’d like to check out all of Nancy Schwartz’s predictions for 2013, check out her blog post here: 2013 Nonprofit Marketing Trends That Affect You - Part 1. As Nancy Schwartz’s post notes, Hubspot offered up 20 Marketing Trends & Predictions - including some new trends as well as predictions about changes to current marketing practices. 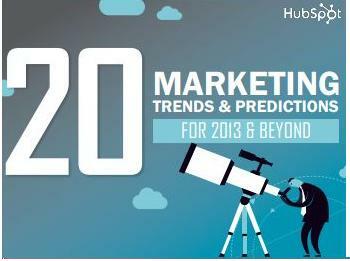 You can check out the entire 27 page PDF here: Hubspot’s 20 Marketing Trends & Predictions for 2013 & Beyond. You can read Nell Edgington's entire post - here: 5 Nonprofit Trends to Watch in 2013. But, as Marketing General Inc.’s 2012 Membership Marketing Benchmarking Report points out, a more old-school approach to marketing is still the king: Email remains the most widely used marketing channel, with 94 percent of associations using it to build awareness, compared to 71 percent using presences on social media channels—proving that the one-on-one connection that email provides supersedes even a robust social media campaign. Call it groupthink, call it whatever you’d like. People like belonging to something, whether it’s a group of friends or a tight-knit organization. But to keep people around, there’s need for incentives. Rewarding your most loyal members with benefits like exclusive content or early-bird pricing on an annual conference can go a long way in making members stay put. Knowing who your members are matters more than ever. It helps them feel like they have a relationship with you. You can read the entire Associations Now post here: The Power of One: How 2012 Reshaped Association Membership. Julius Solaris (Event Manager Blog) offers a Slideshare presentation as well as a blog post outlining the 10 trends he’s identified that will affect events in 2013. Here are his 10 trend topic categories - but you can read the entire post for details about the trends and technology that will impact your events next year here: 10 Event Trends for 2013. Jay Baer (Convince & Convert) offers an infographic that outlines the 25 Inspired Marketing Predictions for 2013 from marketing and social media experts (including Baer). These were compiled by ExactTarget for their ebook – The 25 Inspired Marketing Predictions for 2013. You can check out the entire infographic of all 25 predictions in Jay Baer's post here: 25 Inspired Marketing Predictions for 2013. We hope you find these trends and predictions helpful as you finalize your 2013 plans. Image source: New Year 2013 sign, courtesy of BigStockPhoto.com.